Here is the answer video for last week's soundtrack game, and more details below it, as well as links to the full songs. The Gardiners are arriving from London for a Christmas visit. Mr. Darcy is doing a nightly round of some sort, I think, with his ugly dog trotting along behind him, and pauses in the room with the piano, remembering The Look and being generally contemplative. 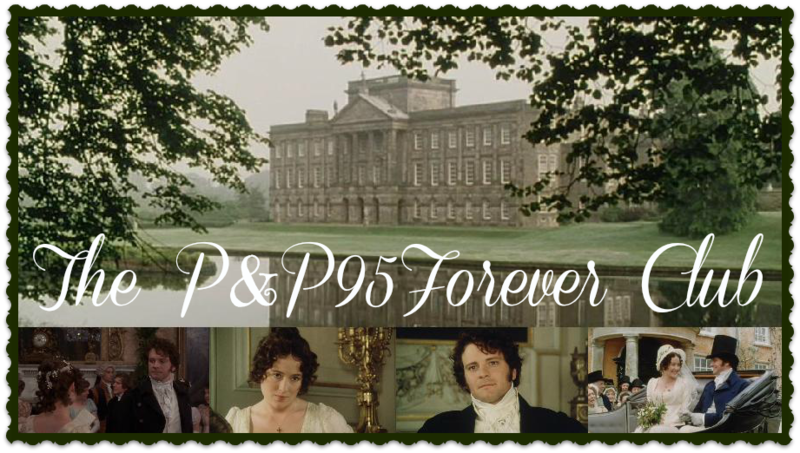 The Gardiners and Elizabeth arrive at Pemberley, and the latter is taken by its beauty. This song varies in events, but begins with the two youngest Miss Bennets and Mrs. Bennet suffering the winter doldrums then shows Elizabeth reading a letter from Jane and of course we are made aware of the contents. The clip of the song in the video was right after that bit, when Elizabeth is taking a walk in the newly spring-like weather. Mr. Bingley is returning to Netherfield "and the whole town is talking of it!" The Hunsford Parsonage party are going to Rosings and meet Lady Catherine. Our winner is: Katrina, with 90% (that is, 9/10 correct).